The Concert Series is a new lineup of KORG digital pianos. 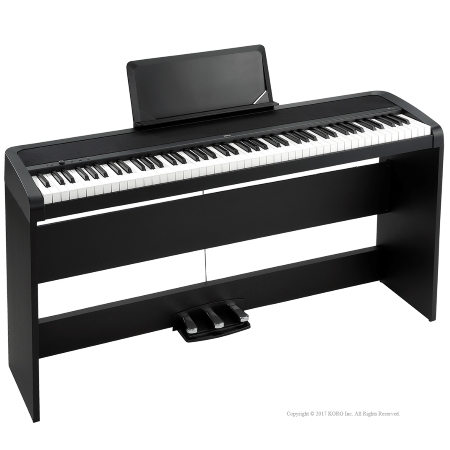 The B1, an entry level piano, is now joined by the B1SP, a set that includes a stand and a three-pedal unit. Sound, touch, and design are three crucial essentials when selecting a piano. The B1SP features such elements along with a stand plus a three-pedal unit that lets you enjoy sophisticated performance techniques. 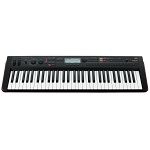 If you want an effortless and enjoyable experience, the new B1SP is the digital piano for you. To achieve the deep, rich tones of an acoustic piano within its compact body, the B1 Digital Piano relies on KORG’s servo-assisted MFB technology, a pair of full-range speakers, plus a passive radiator. Together, these elements reproduce the rich resonant tones that emanate from the large body of an acoustic piano, with particular attention paid to the low-frequency range. As with all digital pianos, the KORG B1 uses sampling technology (multiple digital recordings) to capture and recreate the rich, vibrant tone of an acoustic piano. As sampling technology has continued to improve—and as digital memory components have become more abundant—the KORG B1 Digital Piano is able to deliver a more accurate, authentic, and expressive sound than instruments of just a few years ago. In addition to capturing the enormous tonal range of a grand piano, the meticulously-sampled sounds created for the B1 Digital Piano also reproduce the sympathetic string vibrations and damper resonances that give the piano its character. 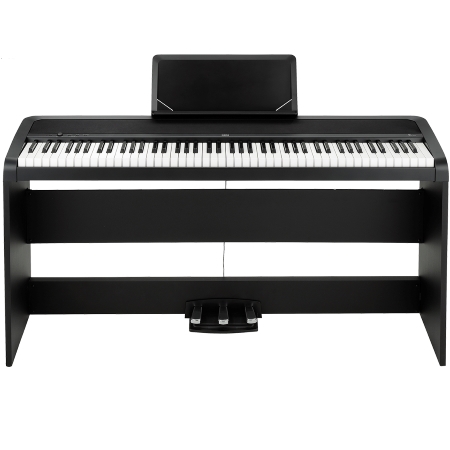 Three flavors of acoustic piano are provided; the B1 Digital Piano also provides two electric pianos, a harpsichord, and two organ sounds—each delivered with precise realism. This generous set of frequently-used sounds allows any player to expand their repertoire to cover many musical genres. The dedicated PIANO PLAY button instantly recalls the Concert Grand Piano sound.